Mausi Maa Temple is dedicated to Maa Ardhasini, therefore also called as Ardhasini Temple. Devotees believed that Devi Ardhasini together with Kapalamochana Shiva, act as the guardians of Puri. 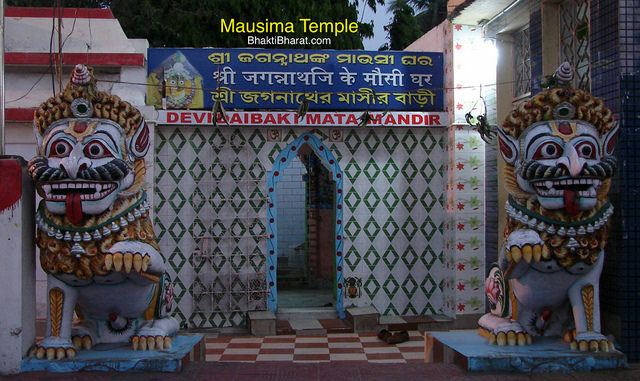 Mausima temple is located on the right side of the Grand Road from the Jagannath temple to Gundicha temple. Mausima means Mausi and Maa, In Odia/Hindi language Mausi means Aunt and Maa means mother/Goodess. At the time of Shri Jagannath Rath Yatra, there are the main attractions of Shri Jagannath Temple, Mausi Mata Mandir, Gundicha Temple and The Grand Road. Importent Destination During Jagannath Rath Yatra. Goodess Maa Ardhashini is Guardians of Puri.